Small and extremely quick on their feet, Roborovski dwarf hamsters can be a challenge, but extremely worthwhile. 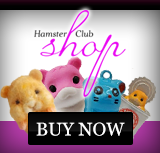 Read on for all you need to know to start your Robo hamster journey. Often known as The Robo hamster or desert hamsters, they are one of the smallest dwarf hamsters to keep. They’ll average up to 5 cm as adults and weigh in around 25 gm, with babies measuring a minuscule 2 cm. Roborovski hamster lifespan varies between 2-3 years and influenced by environment – Robo Dwarf Hamsters have been recorded living up to 4 years in captivity. Roborovski hamsters make great pets and can prove particularly suitable if non-contact animals are a preference, based on speed and size. They’re extremely active and can move at considerable speed – thus, handling can cause stress for them in comparison to other breeds. 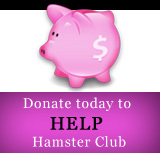 However, older children and adults who enjoy studying animal behaviors will find Roborovski hamsters very rewarding to keep. Essentially, they are sweet-natured little creatures and are not noted for biting.